What's up with the rock? 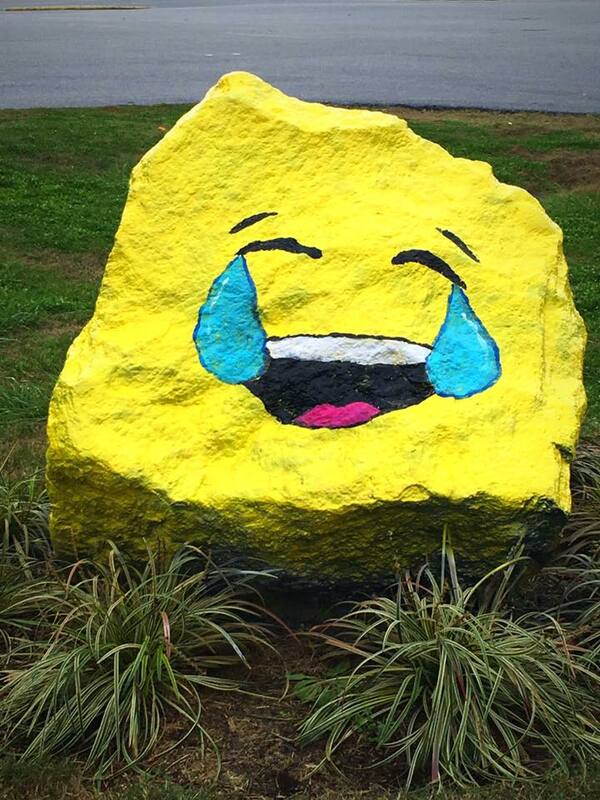 The spirit rock outside the school along Pleasant Road is a Fort Mill school tradition. Families paint the rock to celebrate a child's birthday, special occasions or sometimes group activities. Your reservation is for 24 hours starting at 5pm the day before your reserved date. The fee to reserve the rock is $10 per day. Reservations are non-refundable.The rock is yours, once reserved, RAIN or SHINE! How do you reserve the rock? How does the actual painting get done? However you want. Most families prefer to spray paint the rock with their child or surprise them with an original design that's meaningful to them. There are local businesses or talented neighbors who will paint the rock for you, as well. Arranging those services privately is up to you after you have selected a date. Please email pleasantknollmspto@gmail.com with any questions!